REDD+ - What is REDD+? You are here: Home / About REDD+ / What is REDD+? The role of forests in sequestering carbon and helping to mitigate climate change was recognized through the Kyoto Protocol. However, only afforestation and reforestation activities were accepted for inclusion in the Protocol’s Clean Development Mechanism (CDM). Avoided deforestation, also known as reducing emissions from deforestation, was excluded as an emissions reduction strategy, only to be reintroduced into United Nations Convention on Climate Change (UNFCCC) negotiations at its 11th Conference of Parties (CoP) in Montreal in 2005 through a formal proposal by the Coalition of Rainforest Nations, led by Costa Rica and Papua New Guinea. Negotiations and research ensued, and in 2007, the Intergovernmental Panel on Climate Change (IPCC) identified the forestry sector as the second leading cause of anthropogenic greenhouse gas emissions after the energy sector, responsible for approximately 17% of emissions, largely as a result of deforestation (Pachauri and Reisinger, 2007). Ensuring proposals for Reducing Emissions from Deforestation (RED) (avoided deforestation) were later expanded to include reduced emissions from forest degradation. At the 13th CoP in Bali in 2007, proposals to address Reduced Emissions from Deforestation and forest Degradation (REDD) received considerable support and the Parties agreed to consider policy approaches and positive performance-based incentives to address REDD as well as sustainable forest management, carbon stock enhancement and associated biodiversity conservation and social co-benefits, in developing countries. At the 15th CoP in Copenhagen, Denmark held in December 2009, the CoP noted consensus among some of the Parties with the Copenhagen Accord1, which agreed “on the need to provide positive incentives to such actions through the immediate establishment of a mechanism including REDD-plus, to enable the mobilization of financial resources from developed countries” (UNFCCC, 2009a). pursue the enhancement of forest carbon stocks (UNFCCC, 2009b). It did not extend to include reduced emissions from the agricultural sector (often referred to as REDD-plus-plus), as some stakeholders had advocated. It is anticipated that the UNFCCC Parties will formalize their adoption of REDD-plus at the forthcoming 16th CoP in Cancun, Mexico in November 2010. In the same document, developed nations pledged USD 30 billion dollars by 2012 and USD 100 billion dollars a year by 2020 for climate change mitigation and adaptation actions, including for REDD-plus activities. A coalition of developed nations has further pledged USD 4.5 billion dollars specifically for REDD-plus activities by 2012 (Ganley, 2010). This funding is in addition to substantial REDD “readiness” funding provided to select pilot countries through programs such as the World Banks’ Forest Carbon Partnership Facility (FCPF), the UNREDD Programme, Norway’s International Forest Climate Initiative and the Interim REDD+ Partnership. The Copenhagen Accord and the large scale of recent international funding pledges have effectively served as the political and financial “green light” for REDD-plus plans, policies and projects to proceed. The UNFCCC definition, however, does not articulate what specific carbon stock enhancement activities would be rewarded, nor clearly prioritizes the delivery of additional environmental and social benefits from REDD-plus. 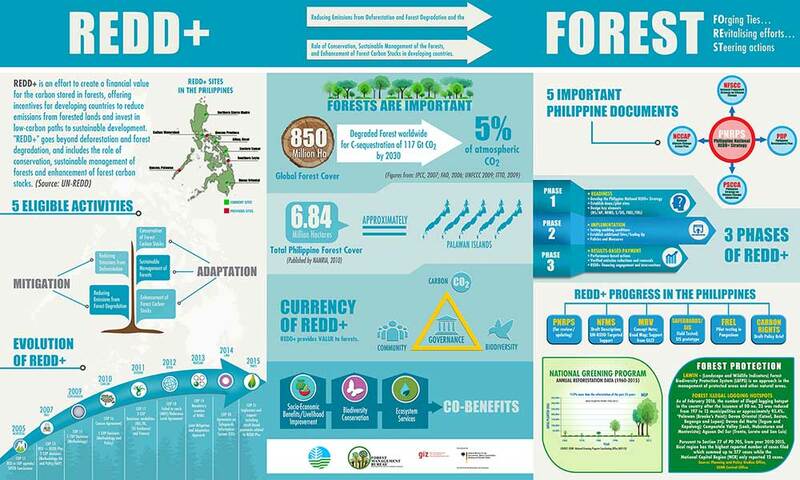 This PNRPS clarifies the types of forestry activities that should be pursued nationally, and adopts a strong vision of how REDD-plus efforts can deliver additional social, biodiversity conservation and ecosystem service benefits.